For anyone who lacks the budget to casually dine at the finest restaurants in Vancouver, EAT! Harvest was the place to be last Friday November 9th. 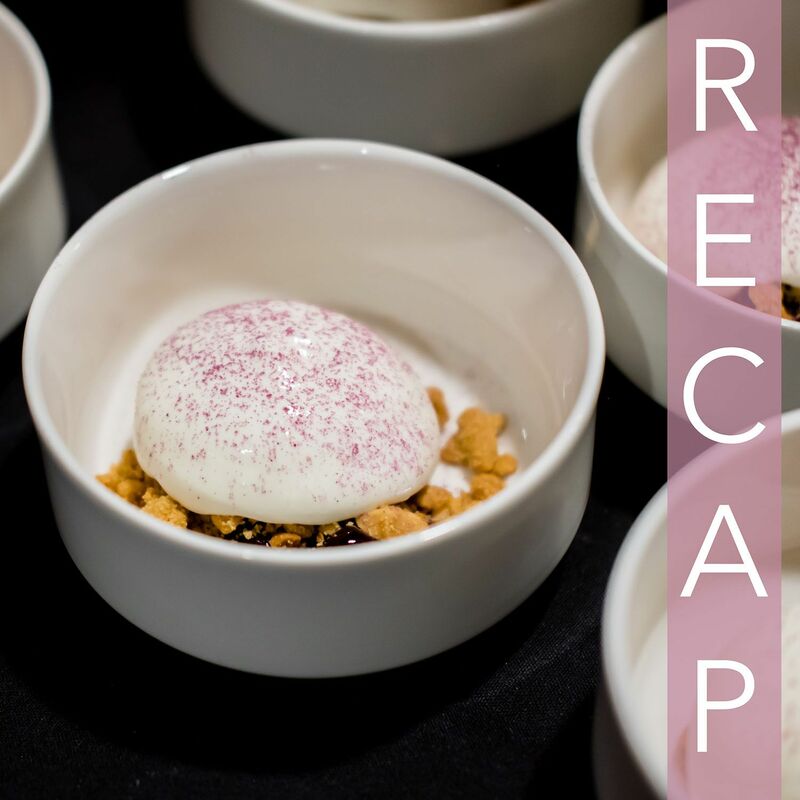 30 purveyors of fine foods and 8 principals of wines got together to produce a sampling extravaganza for guests to peruse and taste in support of Project CHEF. Below you'll find a recap of every station plus my take on the top 5 stations that convinced me to make a visit to their actual restaurant. Disclosure: I was given a media invitation to this event. All opinions are my own. What a surprise that 2 of my favourites came from restaurants I've already been to. For Mackenzie Room, a restaurant already known for interesting culinary creations, was in action with a new item for this event, a braised venison neck croquette. This was a crispy deep-fried ball of goodness, containing a bite of joy filled with good texture and juiciness incorporating an uncommon ingredient in venison. Being the host venue for EAT! Harvest, it was no surprise that Pinnacle had a cool dish in the pork adobo. Using Filipino flavours to colour their raviolo, this had an al dente bite and a homey taste within. In the corner, Mak n Ming were creating magic, dressing up pickled mussels on crispy wonton chips. Upon closer inspection, it looked like they were drawing faces on each chip, making each mussel look that much more familiar. From Cinara came a Kuri squash (aka orange Hokkaido pumpkin) tortellini. This had a delicious savoury taste to it and the addition of raw squash actually worked out quite well. In another corner, Foods from Spain was showcasing Arc Iberico Imports who were slicing up 48-month cured Iberico ham. This was essentially ham harvested from pigs fed a steady acorn diet, yielding a buttery texture to what would be otherwise lean ham. I couldn't stop eating this, and if you ever get a chance to choose a ham, I might suggest Iberico for you. In addition to the joys of visiting every tasting station, there were ways to take breaks during this 2.5 hour session. Wine stations (mainly Pacific Northwest winemakers), dessert stations in the outside hall, and a cover band filled up the remaining ambiance. Just like the food stations, the wine stations and dessert stations provided unlimited samples. Would I go back? Yes to the top 5 restaurants I identified after visiting every station.